Mark your calendars for this summer's Dine LA Restaurant Week on July 15-26. To help you decide where to go, here's a preview of Loteria Grill's Restaurant Week dinner menu, available at their Studio City, Santa Monica, and Hollywood locations. 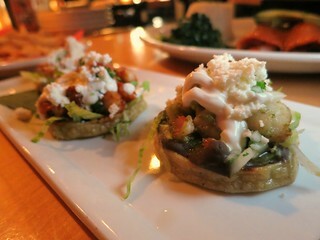 I really liked the sopecitos and we argued which salsa we liked better. 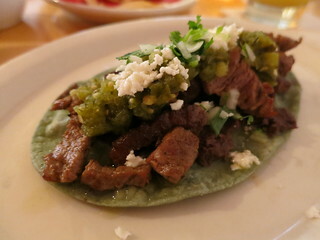 The morita is creamier while the salsa verde had a fresher taste. 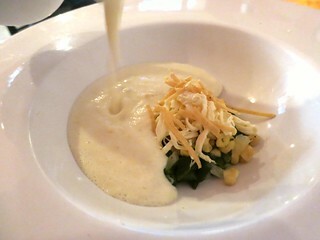 The slightly sweet corn soup is poured over the cheese, corn, chile, and tortilla so that the cheese melts.